We are pleased to announce that Bawarchi Swagruha, Frisco is under new management with a new menu. Visit our website https://www.bawarchiswagruhafrisco.com/ and check our new menu. 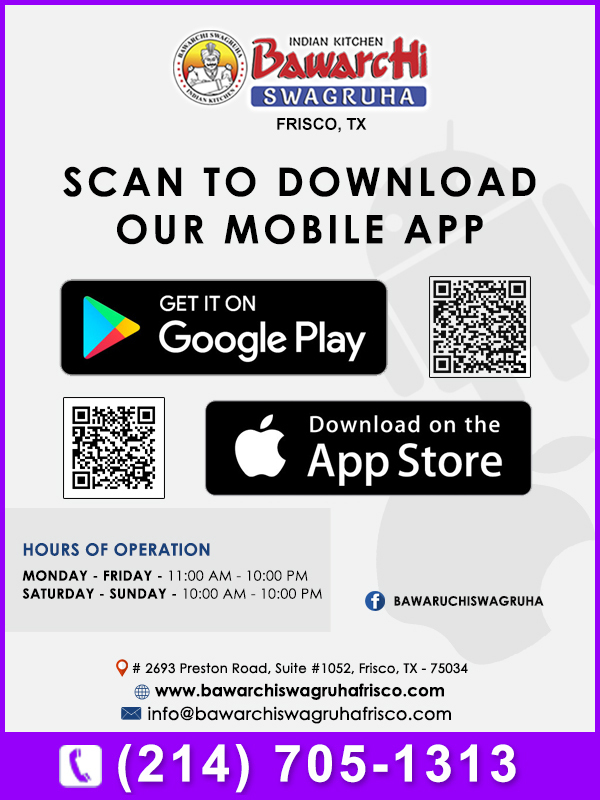 We are excited to announce the launching of Android and iOS Mobile apps for Bawarchi Swagruha, Frisco, An Indian Cuisine Restaurant in Frisco - TX. Download the apps by scanning the QR Code in the image on the Top (or) download by clicking the links below.